Duplex Seller Asks, "Keller Who?" | Your best resource for buying, selling, owning and investing in duplexes and duplex homes. If you’re thinking of selling your duplex, which is more important… the Realtor you list the property with or the company whose name is on their sign? The other day, a Realtor in my office lost a listing because her prospective sellers thought the local company, named after a local community, had more cache than a Keller Williams agent who specializes in the neighborhood. It seems they’d never heard of Keller Williams. Or, at least, they thought they never had. 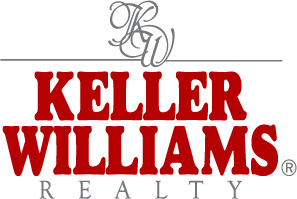 With more than 80,000 agents, Keller Williams is the second largest residential real estate company in North America. In fact, it is the only company to have actually increased in size in the recent market downturn. Regardless of a company’s size, most duplex sellers choose an agent they feel is competent to get the job done, regardless of the company they’re with. After all, would you rather hire a Realtor who got her license last week and doesn’t know a thing about duplexes– but works with a company you know or, one with years of experience who specializes in duplexes, and has a name on her sign that indicates exactly that? Research indicates, and Keller Williams believes you hire a Realtor based on that individual’s experience and expertise. As a result, you might not realize you’ve seen their signs, simply because they believe in the agent branding themselves, not the company.